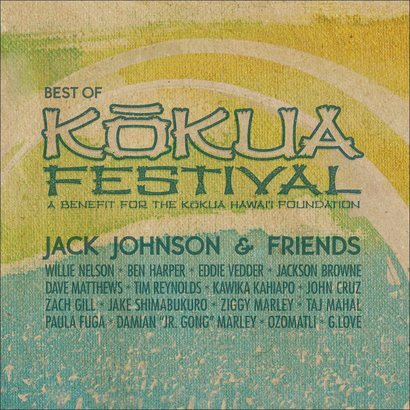 I love the music festivals, and the Best of Kokua Festival, is a great cd from the Kokua Festival. The festival is a fundraiser for the Kokua Foundation, which promotes educational opportunites for children that encourage environmental awareness in Hawaii. So the money from the cd goes to a great cause. The cd was put in 2012, and it has a group of diverse artists. They include Joe Jackson, Willie Nelson, and Ziggy Marley. Many of the songs of the cd are covers of songs by other artists, but they are great cover songs. My favorite song on the cd is A Pirate Looks At Forty by Jack Johnson, Dave Matthews, and Tim Reynolds. I really enjoy the original version of this song, and the song has a real Hawaiian feel to it with a Hawaiian guitar sound. There’s also a fun version of Take It Easy. All of the songs on Best of Kokua Festival are great to listen to when you are dreaming about lying on a warm beach when the snow is flying outside.